Netflix has without a doubt set the benchmark for how comic books can be adapted to for a serialized television viewing experience. 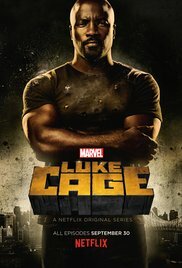 On September 30 2016, Netflix and Marvel Studios released their latest original series Luke Cage, created by Cheo Hodari Coker and starring Mike Colter as the lead title character. Set in modern day Harlem with an awesome hip hop score, how does “Luke Cage” hold up amongst it’s predecessors? Does it live up to standards set by Daredevil and Jessica Jones, or has Marvel finally stubbed their creative toe? Join us on location at Cyber City Comix as the Boys From The Bunker share their reactions.